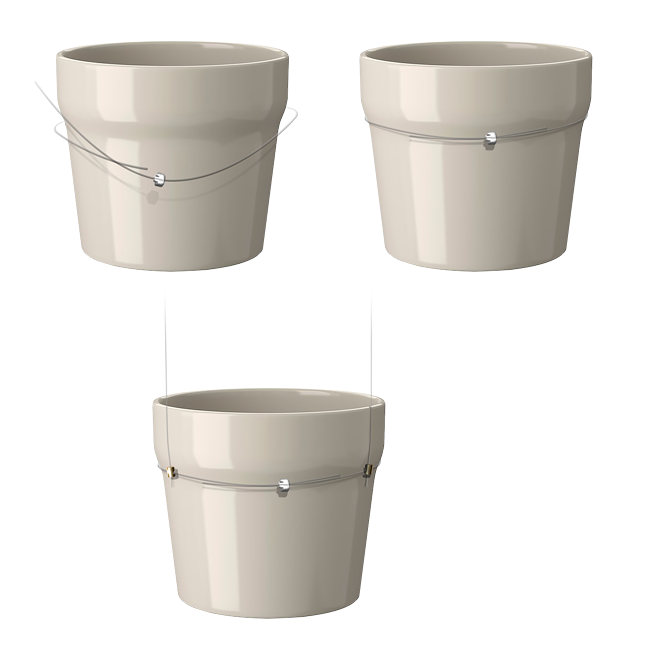 Ceiling Plant Hanger will hang the your plant pot from a ceiling. Heavy duty system. Uses 3 1.5mm steel cables, giving a combined weight capacity of 40kg.